Im a Fan of Cake Ology 101... Are you? Fill in the below form and you can recommend ‘Cake Ology 101’ to a friend or family member via a text message. Show your support with a quick share of ‘Cake Ology 101’. Blessed to watch her work while doing my order . She definitely cares about what she does. She is very talented and I will always support her! I have only had the pleasure of getting the chocolate covered strawberries and infused chocolate covered strawberries. The times I’ve ordered she has never disappointed! The strawberries were fresh and just melt in your mouth! Not only were they beautiful and fun, they were delicious! And lasted days longer than any other kind! Yum! I have used Cake Ology 101 twice now for my families special occasions. I know that she puts her heart into her work and that her top priority is to provide tasty and creative products with great customer service. Not only are her design creations beautiful and original, but the cakes ARE delicious and moist! The icing also has the right amount right amount of sweetness! I would recommend these creations to anyway who needs a show stopping great tasting cake. I have never not been satisfied with any of my strawberry orders! They always look too good to eat and I swear the chocolate that coats them is made with magic! To have great service (the owner is very hospitable) and amazing tasting treats is out of the world and I’d recommend CakeOlogy to anyone & everyone! Edna’s cakes are the most creative and delicious cakes I have eaten. On both occasions she has been prompt, curteous and has always giftest us. I recommend her services to anyone who wants an unique delicious treat! Awesomeness at its finest. Goes above and beyond. Had he pleasure of strawberries and cake…and both were delicious and fresh. Made to order. And does her best to make your vision a reality. And a great person overall. Professional and humble. Will highly recommend. I’ve used Cake Ology 101 for several of my kids events, the care , creativity and personal dedication that goes into the finished product right up to delivery is amazing! 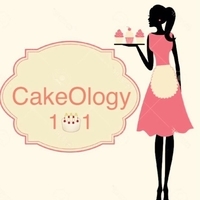 I would definitely recommend Cake Ology 101. The very one time Cake Ology was not available as an option I recommended an alternative and all parties were disappointed to the point if requesting a refund. Again Cake Ology 101 it is!!! The desserts are delicious and beautiful . I can see the quality of talent, a very passion driven food designer. The cupcakes , cakes & fruit ( strawberries) always look and taste wonderful. The customer service is top quality . Her sweets are delicious! Not only do they look good they taste good. The owner of Cakeology is respectful and very well mannered, love it! I ordered both infused and regular strawberries from Cake Ology 101. The quality and presentation were superior. I would recommend them for any special occasion or simply just because. I ordered a princess cake for my daughters 5th birthday! It was absolutely amazing! Everything she wanted and more. Cake was a huge hit at the party. The process was very smooth and she was very kind. I’ve also ordered chocolate covered strawberries and they were fantastic! I definitely reccomend her to everyone who asks me about cake and/or desserts. I ordered strawberry chocolates they were delicious!!! I was able to get delivered to a convenient spot close to me. I will order again in the future!!! I’ve placed several orders from infused strawberries to cakes and I’m never disappointed. Such a talented and creative baker. She will go out of her way to get it done and make sure it’s right! Wouldn’t choose anyone else! Plus who doesn’t love supporting small business? I ordered my cake on short notice. Mrs. Washington came through. Very pleased with her work and the cake was absolutely beautiful. The taste was amazing. Would recommend her to everybody. So, I was planning my daughters birthday get together and stumbled upon this picture of a cake with a Steelers theme (her fav team) and I was like OMG this is it! So I inboxed Cake-ology and asked if she could do this and she was like “sure” We talked over the details and when we saw that cake we were FLOORED!!! Not only did it look good, it tasted good! It was worth every penny I spent!!! I have always admired Edna’s work. I then had an opportunity to try it when I purchased some chocolate covered strawberries for an event i was in charge of. They were the most delicious strawberries I have ever had. I also enjoyed the professional of Edna as well. I will be using her in the future for more events. I’ve gotten Strawberries from Cake Ology on three different occasions and I will never go anywhere else! Her strawberries are always fresh, sweet, and BIG. All of her products are amazing quality from the strawberries to the chocolate down to the packaging. Customer service is amazing & you can tell she appreciates her clients! I love love LOVE Cake Ology 101 I can’t think of 1 thing I would change at all! Edna’s cake art is second to none. If you have a vision, she’ll bring it to reality. I’m a very pleased customer. Edna is very friendly and does awesome work!!! I had a wonderful experience with Cakeology. I highly recommend her for any event. Great quality, wonderfully displayed, very reasonably priced! Cake Ology 101, is definitely, hands down the best in the area! I had such an amazing experience! My Valentine’s treats were delivered as promised and they were DELICIOUS! 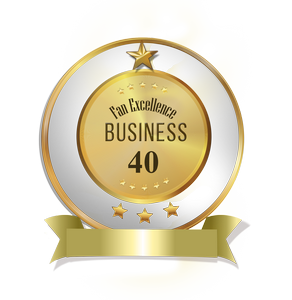 It’s rare that you have superb customer service, beautifully decorated treats, and a product that supersedes any of it”s competition in taste. I was actually HONORED to present such quality treats to my loved ones and would order from her again in a heartbeat. I ordered chocolate covered strawberries and they were absolutely delicious!!! They were fresh and were delivered to me at a convenient location!!!!! I will be ordering again!!! I love love love this bakery! Very sweet baker, very creative, delivers what clients want, VERY GOOD TASTE! She IS Rockford cake BOSS! Every time I order, she always gets it done not only in a timely manner but it always turns out very good. I’ve been stuck ever since the first time I placed a order, I highly recommend her work. Edna went out of her way to make the best cake possible for my son on his birthday. And delivered it as well. Will definitely be coming back to her for future cakes!! I ordered a cake for my son’s 4th birthday. The design of the cake was adorable and the cake was so delicious. Highly recommended!! This young lady is very creative. She goes the extra mile to make sure her customers are satisfied. Her treats are awesome (especially the chocolate covered strawberries). From beginning to end the process has always been smooth. Everytime I order from her I am blown away on how she can transform my simple ideas into something so beautiful I don’t even want to eat it. I have ordered from her multiple times and each cake or cupcake gets better and better. The owner is very professional and friendly. Her work is excellent and the ideas she comes up with are so creative! I have made many purchases from her infused strawberries to her cakes and have never been disappointed. I will definitely continue to be a CakeOlogy customer. My family had the pleasure of enjoying cupcakes and strawberries made by Cake Ology 101. We had an professional, tasty, beautiful , and affordable experience. Looking forward to booking with Cake Ology 101 for future events.